The Academic Staff Union of Polytechnics has said it will embark on strike with effect from November 13, 2017 to press for the implementation of its agreement with the government. It accused the government of treating polytechnic education with disdain and levity. 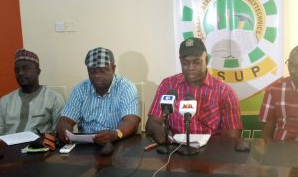 Rising from an emergency meeting on Monday in Abuja, the ASUP National President, Usman Dutse, said his union would commence an indefinite strike after the expiration of its earlier 21 days ultimatum. The ASUP leader also accused the government of using endless verification to delay the payment of entitlements of members of the union. He stated that the union was not against the verification, but he added that it should not be used to deny workers their rights. He said that despite the 21 days’ notice given to the government, it did not consider it necessary to address the demands for an improved funding of polytechnic education in the country. Dutse said, “Our union is therefore constrained to lament again that our sector is on the verge of collapse and needs all the emergency attention it deserves. He identified the issues to include non-implementation of the NEEDS assessment report which recommended the injection of N6.5 billion into the polytechnic education in 2014, adding that this has risen to about N8bn now. He also mentioned the non-passage of the Amendment Bill of the Polytechnics Act.